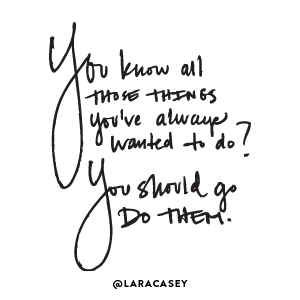 What if just for today we stopped thinking about what all we have yet to get checked off our to do list. Stopped beating ourselves up about the things we can’t seemed to get right. Silenced the voice that says yeah but we still need to do more…. And just focus on ONE thing. What’s the one thing you can celebrate? What one thing have you managed to do well this week? It’s not about anyone else thinking this one thing is noteworthy. But rather about us tending to our souls better. One thing I have done well this week is to love my mother and take care of her. I just got back from spending two weeks with her, and as I reflect on my time, I can see how God gave me patience, kindness, and a giving spirit. Praise His name, with HIS help, I am honoring my mother as He commands me to do. Isn’t it strange how much easier it can be to rattle off a long list of negative things about ourselves or to give others a compliment than to speak well of ourselves? How wonderful that what you have been able to be in service to others Sharon. I pray that you will be continually refreshed. Wow! Wanda, this is so much on time for me. It is hard to explain, but after talking with a few friends yesterday and watching the “prayer list” fill up with more problems, I finally asked one, “why don’t we put away these lists of problems and do a praise list?” She got real quiet on the phone. I got real quiet on the phone. I can’t say where the thought came from, but it was out of my mouth and there was no taking it back. Since that conversation yesterday, I have been praising God for ONE THING … that I’m still here. Sometimes, when we are not feeling the struggles of others or seeing their sorrows, we forget ourselves that it is often difficult to just be here now … to show up for our own lives, and it is the Spirit of God that breathes into us and awakens us and strengthens to face the day. So, it may seem a small thing, but I am thankful for the God who upholds and sustains daily. I celebrate being present. I may not be best in class, the clothes may be messy, the fingernails may be untidy, and all the homework may not be done, but I am here and I am grateful. LaVonne recently posted..Are You All In? How interesting LaVonne. I think sometimes our “prayer lists” can be an a clever clothed excuse to stay fixated on our problems rather than straining (although I do understand it can be so very hard to do at certain seasons of our lives) to find and focus on something that is good in our lives. And your words were an invitation to focus on that which is greater. To move from problems to praise requires a sift of perspective.Even in our lowest states there is good even if it just that we are still here. No mam still here is no small thing to be thankful because so many others are not. Yes that’s one thing I can choose to focus and be grateful. Your words encourage me today! I’ve been trying to do this every day, but it’s not easy! Oh yes I know Elizabeth, these words I eat myself first because I spend too much time majoring on all the things left undone. It is so easy to focus on what we can’t do, what we don’t have, who we aren’t–and so hard to really focus on the abilities God HAS gifted us with, on what we DO have, and on who we ARE! Thought provoking post, Wanda. Thanks for sharing your thoughts. Wonder why we are wired that way Pam. Perhaps it has to with the fall of humanity but I can quickly roll off things I’d like to change or ways I’ve failed to live up to self-imposed to be or to do list. Wanda, I’ve been having some trouble with comments not posting tonight on several blogs. I may need you to check your spam folder…ugh. Any ideas why this might be happening? I know you have much more knowledge with computer stuff than I do. It seems to only be happening on WordPress blogs, by the way. Hi Sharon, I didn’t have to fish you out of spam. Although I did notice another normal commenter on my blog was placed in the spam folder. I never can figure out the algorithm these antispam plugins use and every now and they produce some false positives. Are your problems just that it is not displaying your comments on WordPress blogs or are you receiving an error message? I hope you are being good to yourself too? You are a very busy person, don’t forget to take a break now and again my friend. It’s nice when we can just let go for a moment. We all need those moments. I appreciate that reminder to take a break. I actually was thinking of taking a day for myself tomorrow. Yeah, it is required at times to let things go and remember the blessings.